Obtain temporary visas to the US for work (H-1B/L-1/TN/E-3/J-1), investment/trade (E-1/E-2), travel (B-1), or performances (O-1/P-1). Obtain green cards based on employment and investment categories. Help corporations understand the meaning of essential immigration communications. 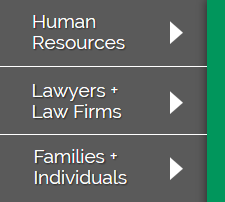 Help HR and In-House Counsel transfer or hire international employees. Provide strategic information to foreign employees interested in switching employers. Help unite families in the United States through family based immigration. Our knowledgeable attorneys and staff bring to the table a breadth of immigration experience in business and family immigration matters. We advise international professionals with strategic business and family issues; we help companies create cross-border business immigration strategies. We utilize common sense, clear logistics and step into action to stand behind our word. Lang Wallace LLC offers high quality representation, but also an attractive billing structure. Flat fees, hourly billing and caps are all options.